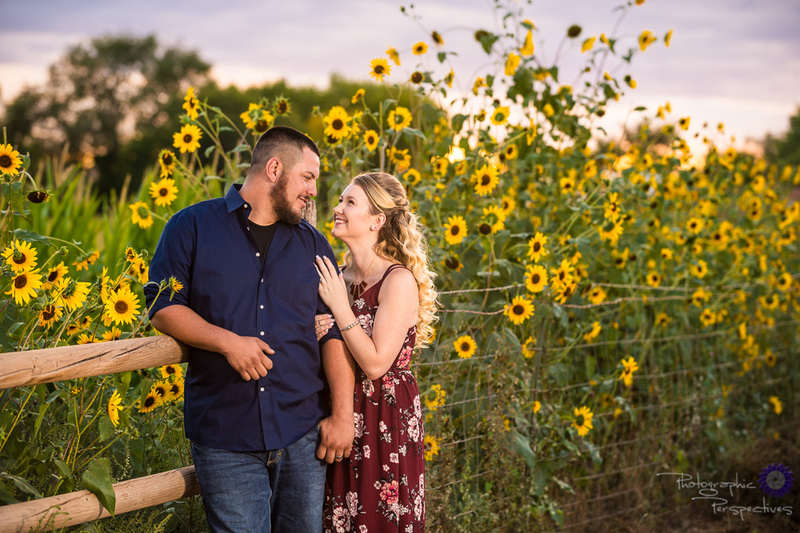 For Shanya and Dominic’s engagement session we knew exactly where to take them, the bosque in Corrales near the studio and back to our studio where a huge amount of beautiful sunflowers had been blooming. 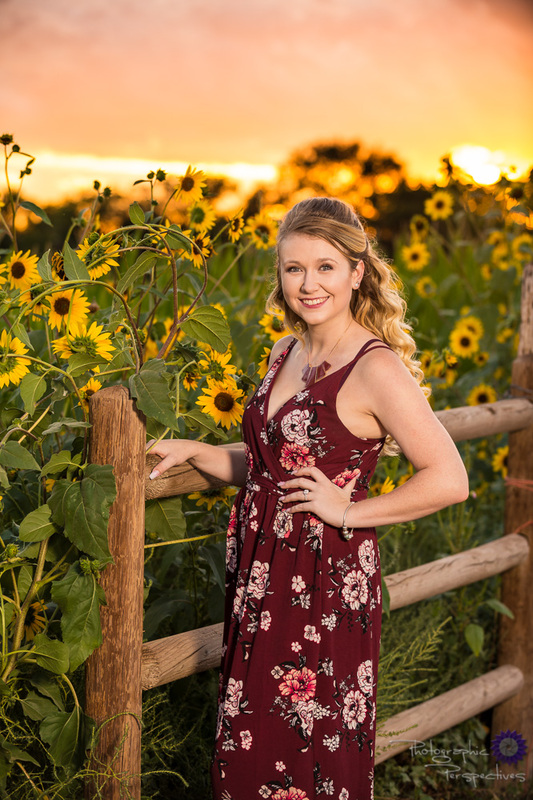 The road leading to our studio was lined with hundreds of newly bloomed sunflowers, and we knew it would be perfect for their engagement photos, right around sunset. 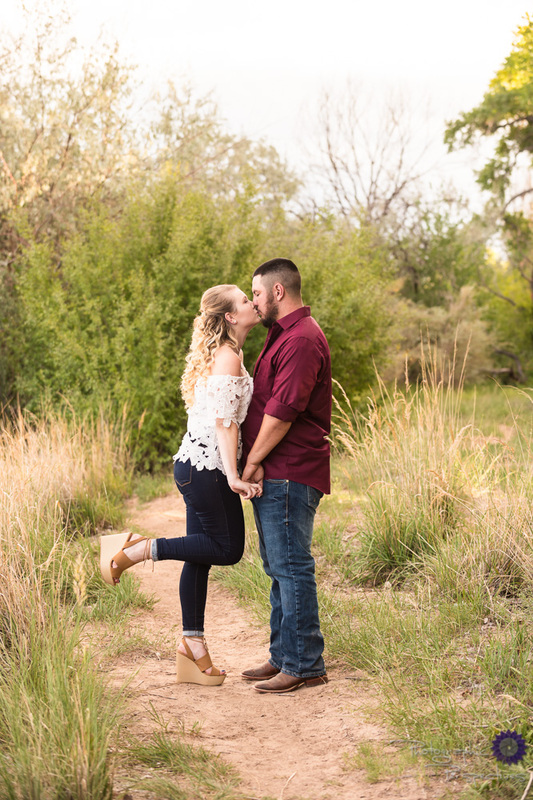 We took them to our favorite bosque location for a little afternoon stroll, first. 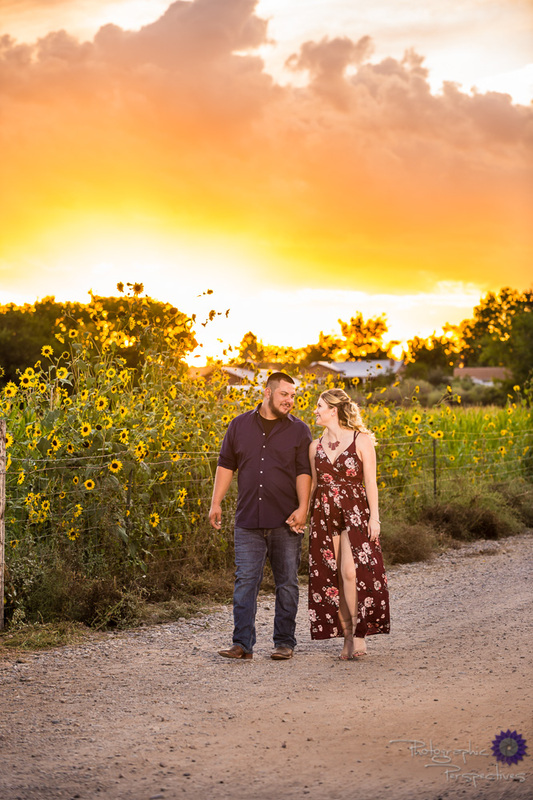 Shanya and Dominic had a wonderful time exploring the bosque with us before heading back to the studio for the sunset and sunflower filled end to their engagement photo shoot. 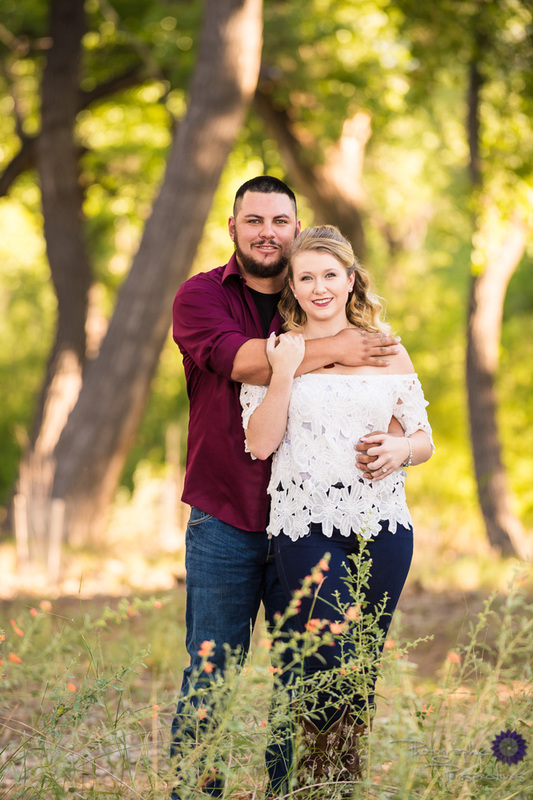 We hope that you enjoy their engagement pictures as much as we do, and we cant wait for their wedding next year! For more engagement location ideas check out our engagement location page! Also, follow us on Facebook, Pinterest, and Instagram for updates, ideas, and the latest with Photographic Perspectives! 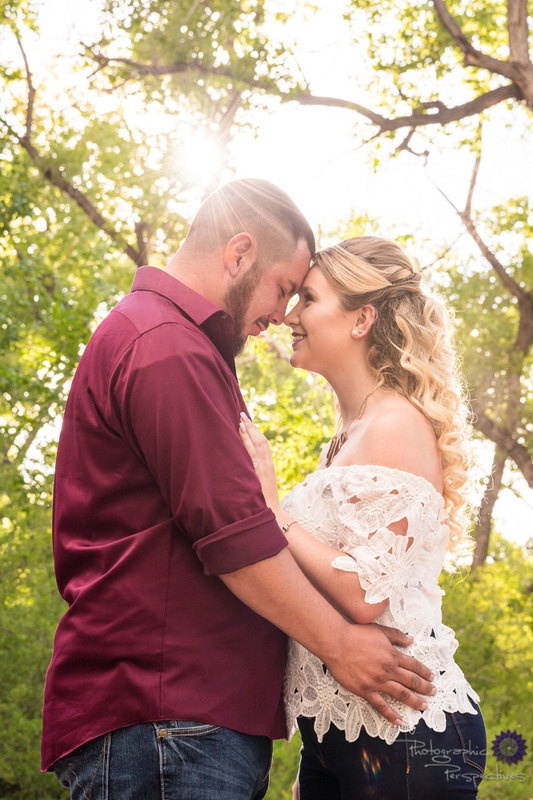 Have questions about Engagement Sessions? Let's Talk!